Laura Kiefert lives in Howard and is a Partner in the Green Bay Progressive. 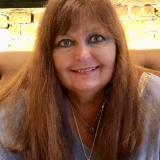 Members of FaceBook can follow her at My Truth and Anti-Alternative Facts , @mytruthandantialternativefacts. Her greatest disillusionment isn’t Trump, it's that too many people are largely fine with all of the vicious, toxic filth and are not outraged or uncomfortable enough to take action or speak out. GREEN BAY - Happy New Year to every person who didn’t vote for Donald Trump or who no longer supports him. Although I’m trying to look forward to the coming year with some optimism, the truth is I’ve become overwhelmed with disillusionment. I no longer think of the country in which I live, or many of the people who live in it, in the same way. The greatest disillusionment to me isn’t Trump himself. I expected he’d be a horrible president because he’s a horrible person. He lacks a single kind or empathetic impulse, is impervious to compassion, and morally incapable of leading the country. Since his election, Trump has clearly caused the ugliness that exists among us to be elevated to a level not seen for over half a century. My disillusionment comes with the reality that too many people I cared about and respected, people I thought were good people with admirable values, many of whom I considered to be friends, are largely fine with all of the vicious, toxic filth we’ve been infected with and are not outraged or uncomfortable enough to take action or speak out against the rising hatred and those who perpetuate it. America will not return to the greatness and decency it once had until we all join together to hold our leaders to a higher standard of honesty and integrity. It’s the least we deserve as a nation. HOWARD - On Nov. 6, voters in 16 Wisconsin counties held advisory referendums on marijuana asking voters if they supported some sort of legalization. The majority of voters — 3 out of 4 — expressed overwhelming support, leaving many wondering what’s going to happen now the issue is in the hands of our state representatives. Unfortunately, in many races voters failed to elect representatives who shared their support, which leads to the question, how often do legislators vote in accordance with constituent opinion? A number of scholars have suggested that most Americans have little to no effect over what the government does. In May 2017, John G. Matsusaka of the University of Southern California determined that legislators actually adhered to the will of their constituents only 65 percent of the time. Furthermore, when the preference of a politician differs from that of his constituency, politicians tend to follow their own interests, beliefs, and ideologies over those of the people they represent. While 65% is better than the 50% rate of simply flipping a coin when voting, it’s still less than voters deserve. Whether or not to change marijuana laws is not a partisan thing. Most everyone knows somebody dealing with cancer, chronic pain, glaucoma, PTSD, or other conditions who has used, or wants to use, marijuana as part of their overall treatment. We must demand state representatives listen to will of the people, refuse to allow this issue to be reduced to a debate over conflicting moral opinions, and change the law. The worst are funded by political action committees like Restoration PAC and Americas PAC, along with out-of-state special interest Koch brothers groups. We need to support campaign finance regulations that ensure truth. GREEN BAY, WI - Once again, we are being bombarded with negative political ads, often filled with half-truths and outright lies. 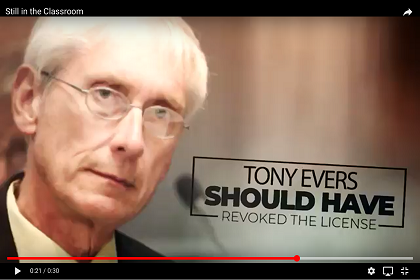 I am disgusted by the attack ads being levied this year against gubernatorial candidate Tony Evers and Senate candidate Tammy Baldwin. The most egregious ads are funded by political action committees like Restoration PAC and Americas PAC, along with out-of-state special interest Koch brothers groups. They have spent millions on negative false advertisements designed to promote their conservative agendas. Their philosophy that "the end justifies the means" continues to threaten, and possibly destroy, our democracy. Unfortunately, Wisconsin allows a candidate to petition donors asking them to contribute unlimited money to a third-party group that can then spend anonymously on the candidate’s behalf. This allows the candidates like Scott Walker and Leah Vukmir to trash their opponents without being held personally responsible for the content of the ad. We need to overturn Citizens United and be smart about what we see and hear, be vigilant in researching outrageous claims in these ads and demand candidates promote themselves and their values and only compare themselves to opponents with fairness and facts. Media outlets need to be more concerned about content and truth than their profit and apply the same rules and regulations requiring honesty and factual proof of claims to political ads that is required for brand advertising. Finally, elected officials need to clean this mess up. Wisconsinites need to support campaign finance regulations that ensure truth, transparency and integrity in all advertising. 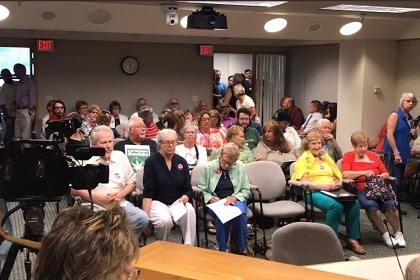 A person diagnosed with diabetic eye and peripheral nerve damage makes a statement on her personal experience with legal prescription drugs and her hope to see medical marijuana legalized in Wisconsin. Made before the Brown County Board Executive Committee on July 9, 2018. GREEN BAY, WI - My name is Laura Kiefert. My husband and I own property in Howard, where we live next door to our son, his wife, and three of our grandchildren. I appreciate the opportunity of speaking with you today about my personal experience with drugs. Legal prescription drugs, that is. In 1998 after suffering a rapid onset of severe pain, I was diagnosed with diabetic peripheral neuropathy. It felt like my feet were constantly burning in scalding water. So far, that sensation has spread to my ankles, calves, hands and forearms. Several neurologists confirmed the diagnosis by performing a myriad of diagnostic tests. All confirmed the diagnosis, agreed that finding an effective treatment was often elusive, confirmed the condition was progressive, and advised me to not expect the condition would ever improve. At the beginning, I was prescribed anti-epileptic medications, the only drugs approved at that time to treat neuropathy. Then, those medications were combined with anti-depressants, which had shown to be effective with some patients suffering from neuropathic ailments. Along with those, I was prescribed low doses of opioids like Percocet and Vicodin. In addition, I tried topical ointments, supplements, chiropractic, acupuncture, bio-feedback, electric stimulation, spinal injections, massage and relaxation, all efforts to ease my pain and slow the progression. None proved very beneficial. My diagnosis coincided with Perdue Pharma launching an extensive marketing campaign promoting their so-called wonder drug, OxyContin, aimed at assuring physicians that it was safe and non- addictive when used for pain control. It was during that time I received my first prescription for OxyContin and it was the start of what we now refer to as the Opioid Crisis. 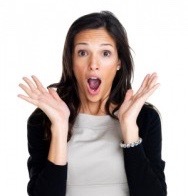 OxyContin was originally developed to be an effective pain reliever. And it was. Pain sufferers like me weren’t looking to get high. We were looking for a medication to ease our pain. As doctors wrote millions of prescriptions, the market became totally saturated with OxyContin, patients began sharing or selling their pills, people learned how to crush the tablets and snort or inject the powder. It wasn’t long before people were stealing it to get high and the drug became readily available on the black market. By 2002, when I was just 47 years old, I was no longer able to work because of the neuropathy pain, and unable to drive due to the deterioration of my vision. Periodically, over the next 13 years, the type of opioids varied and dosages were increased until I was taking maximum dosages of several at the same time. Along the way the numerous drugs I took caused serious side effects including weight gain, drowsiness, dizziness and swelling, heart, respiratory, and gastrointestinal problems, hypertension, itchy skin, dry mouth, nausea and infection. Make no mistake, opioids relieved my pain, however between the years, 2010 to 2015, I was basically unable to function and rarely got out of bed. For all intents and purposes during those years, I lost my life. I missed out on everything - loving moments with my husband, family and friends, birthdays and holidays, ball games, concerts and recitals, and especially all the little things a grandmother enjoys and cherishes while watching her grandchildren grow. In 2015, I turned 60 and I realized with the quality of life I had, I might as well be dead. So I decided to stop taking the prescriptions I had been over-prescribed, and get out of bed or die trying. Against my doctor’s recommendation, and without any intervention or treatment, over a period 4 months of difficult withdrawal, I was able to successfully rid myself of my dependence on legally prescribed drugs. Now, although I am functioning better, coping with constant pain is a never-ending struggle. I can’t walk very far, stand too long, or sit very long. Nights are the worse because my pain intensifies when I lay down. The only relief I get is when I’m submerged in water. I’ve spent so much time in our pool, it’s a wonder I haven’t grown gills. My vision has deteriorated to where I have lost most of the vision in my left eye and considerable in my right. Now, damage to my optic nerve resulting from worsening glaucoma, has my ophthalmologist worried I’m going totally blind. Pain is the first thing I think about when I wake up, the last before I go to sleep, and too many times in between to count. Being so visually impaired is a challenge I wouldn’t wish on anyone. My personal experience with prescribed Opioid Medication proves taking them requires increasing dosages that can be a slippery slope that often leads to dependence, overdose and even death. According to a study from the National Center for Health Statistics, part of the US Centers for Disease Control and Prevention, deaths involving opioids, in 2016 reached, 42,249. A staggering average of 115 per day. Opioid overdoses recently overtook vehicular accidents and shooting deaths as the most common cause of accidental death in the United States. Ten states enacted medical cannabis laws between 1999 and 2010. Research from those states have shown that states allowing medical marijuana had a 24.8% lower annual opioid overdose mortality rate compared to states outlawing cannabis. 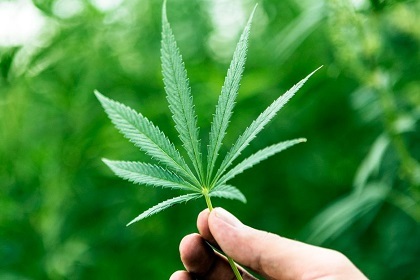 The National Institute on Drug Abuse, as well as numerous other in-depth studies on medical cannabis has reported that like opioids, marijuana has been shown to be effective in treating chronic pain as well as other conditions such as Anxiety, Arthritis, Cancer, Crohn’s Disease, Epilepsy, Fibromyalgia, Glaucoma, HIV/AIDS, Migrains, Multiple Sclerosis, Neuropathy and PTSD. Furthermore, studies have shown that marijuana used as an alternative pain treatment would help mitigate the major public health opioid crisis because it is safer and less addictive, you can’t overdose from it, nor has anyone in the US died from using it. Medical marijuana is an affordable, safe and effective alternative for many expensive, ineffective and highly addictive prescription opioid medicines currently being prescribed. Legalization of the medical use of marijuana would have a significant positive affect on the Opioid Crisis. It would be a giant missed opportunity if data on safety, efficacy, and outcomes from medical cannabis use wasn’t considered when deciding whether marijuana should be legalized. Personally, I’ve exhausted every pain management option, including massive doses of prescribed opioids. After extensive research, I’ve determined that medical cannabis is the only option left for me. I have not tried marijuana for my nerve pain or glaucoma. Primarily because it’s illegal, but also because I can’t stand the smell of it. Like many people of my generation, I thought marijuana was an evil drug that was making our kids stupid, was highly addictive, a gateway drug, and often led to overdose and death. A surprising number of people still cling to that anti-factual, long-exploited, preconceived ideology that marijuana use is bad. My research has taught me otherwise. I have learned it is nearly impossible to overdose on cannabis. To do so, you would have to consume 40,000 times the dose required to get “high”, all at once. I was relieved to find out the neuroscience department at the University of Louisville has proven that marijuana use does not, in fact, kill brain cells. Unlike opioids, marijuana has little addiction potential, and no deaths from marijuana overdose has been reported in the United States. A study published in the Journal of the American Medical Association found that smoking cannabis does not cause significant damage to the lungs. Tobacco, however, can be extremely damaging. And, marijuana can be consumed in edible forms, therefore alleviating the unpleasant stink. Nearly all of us know someone who has been killed by cigarettes or alcohol, yet they remain legal. A recent study even found the majority of people believe consuming sugar is worse for you than smoking marijuana. Opioids are the 3real “gateway” drugs to be worried about. Since the war on opioids has led to stiff regulations on the quantity and duration of prescriptions, many legitimate pain sufferers have turned to street drugs out of desperation after being cutoff by their doctor’s. People who live relatively pain free just don’t get what’s it’s like to constantly have pain. Imagine if you had a toothache that went on for sixteen years. The best solution for pain sufferers, and a real solution to the opioid crisis, would be the legalization of marijuana. I know firsthand the downside of taking prescription opioids and just how detrimental they can be to one’s health and well being. Medical marijuana couldn’t possibly be anywhere near as bad. I’ve asked many doctors how they feel about medical cannabis. They agree it would very likely be effective for my pain management. Healthcare practitioners who are charged with ensuring patient comfort, have a vested interest in providing viable alternatives to Prescription Opioid Medications as part of an integrated approach to pain management. They are left wondering how different their job would be if marijuana was legal. I’m left wondering how different my life might have been over the past sixteen years, or how different my future might be, with the benefit of legal medical cannabis. I didn’t reveal this much of my personal heath history looking for sympathy. I’m hoping you will consider what I’ve said when deciding how to vote on this proposed referendum. Quite simply, I need something done before I either die or go blind. I desperately want to live productive life as and see my grandchildren grow up. Anyone who had to walk with MY legs on MY feet, hold anything with MY hands, or see out of MY eyes, would understand my urgency in getting medical marijuana legalized in Wisconsin. Most importantly, I don’t think my government should force me into becoming a criminal in order to obtain a medication with the potential to help me. I must emphasize one final point. No one I know who’s advocating for Brown County to add this non- binding advisory referendum is doing so because they are potheads who walk around in a purple haze and just want to bring more drugs into our community. Make no mistake, marijuana is already here and being used illegally by thousands of people in Brown County. I’m told it can be bought at bars near the university, on street corners on Main Street or University Avenue, and during the summer, at Disc golf courses. Drugs are pervasive in our society. Just open your medicine cabinet. Those drugs can be purchased on every other street corner and Walgreens, CBS, Shopko and Walmart. Thank you for listening and I sincerely hope you consider my statement in your decision about whether this issue should move forward.